It's a Bird...It's a Plane...It's our first look at Henry Cavill's take on comic's most iconic superhero in the first teaser trailers of Zack Snyder’s Man of Steel! Argh, the passage of time. Before you even know it, Christopher Nolan's seminal cinematic take on DC Comics' iconic Batman in his masterfully presented trilogy has come and gone. With Green Lantern's lacklustre showing, is Warner Bros. Pictures at a tight spot now that Marvel Studios is all over the places with their upcoming Phase Two films storming in the next two years? Fret not, as Nolan has left some kind of an ace in the hole on his way bowing out of the superhero game. 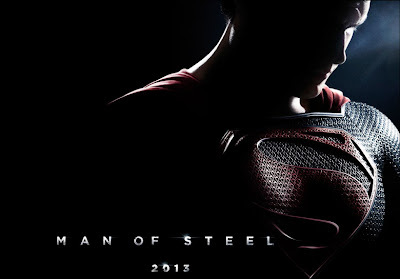 Namely, Man of Steel, the film that both Christopher Nolan and Emma Thomas will be credited as producer following the concluding chapter of The Dark Knight trilogy. Incidentally, the film that Zack Snyder is going to direct. With the ending of The Dark Knight trilogy, Warner Bros. Pictures has released the following teaser trailers thus far. While these teaser trailers aren't exactly the awe-inspiring full trailers shown during Comic-Con complete with action sequences and appearances by Michael Shannon's General Zod that was shown in San Diego Comic-Con International, its epic nature embedded in a subtle style (that is interestingly unlike the usual Zack Snyder fare that we have come to expect) is awesome in its own way. And to clarify further, the two teaser trailers attached to screenings of The Dark Knight Rises are exactly the same in terms of visual and music, but with different voice-over from the two fathers of Superman: Namely, Kevin Costner's Pa Kent, Jonathan Kent, and Russell Crowe's Jor-El. Hit the jump to check out both teaser trailers as well as the contents of the respective voice-overs. You’re not just anyone. One day you’re gonna have to make a choice. You have to decide what kind of man you want to grow up to be. Whoever that man is, good character or bad, it’s going to change the world. You will give the people an ideal to strive towards. They will race behind you, they will stumble, they will fall. But in time, they will join you in the sun. In time you will help them accomplish wonders. Man of Steel is currently scheduled to be released on June 14, 2013.